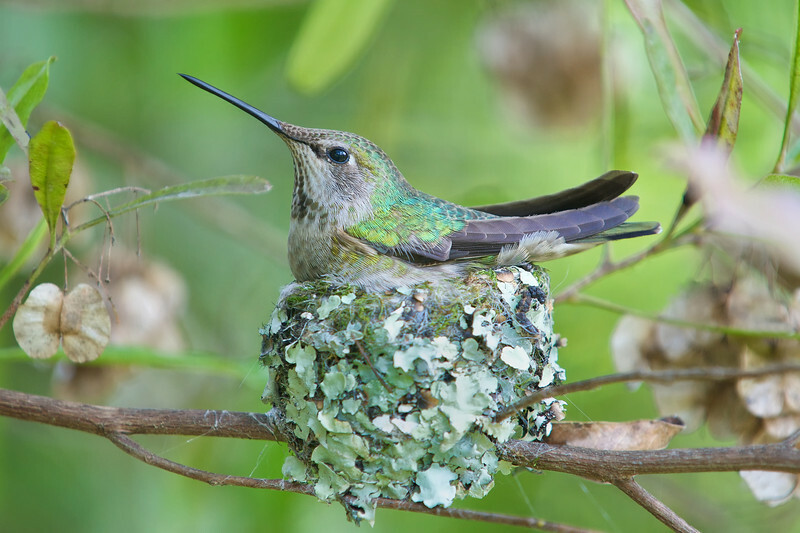 Art folio subset of images of nesting-to-fledging of the mother and two baby Anna's Hummingbirds. March 9-31, 2010. This set represents the 20 images that are in the two art folios that were auctioned off at the GWS Auction on May 15th. Nesting behavior during brooding phase. The nest is constructed of lichens and mosses gathered from a bay tree that towered above this Dodonaea bush. Spider webs were used to anchor the nest to the branches.